In 1936 Dodd Mead published D’Arcy McNickle’s novel The Surrounded. Set on the Flathead reservation in northwestern Montana, the novel entered the field of literary culture as a doubly regional work. Firstly, for American publishers Montana was part of a marginal region associated with popular genre fiction. Secondly, the Flathead reservation was not widely known outside of Montana because it had not attracted popular curiosity like the reservations of the southwestern U.S. Although the novel is firmly rooted on the reservation where McNickle was born and raised, he had been away for over a decade at the time it was published. He left in 1925 after selling his allotment and spent the intervening years in Oxford, Paris, Philadelphia, New York City, and Washington D.C. Despite this cosmopolitan itinerary, McNickle represented himself as a regional writer when he wrote to John Collier at the newly reorganized Office of Indian Affairs in 1934 to inquire about prospective employment. In this application McNickle offers the following characterization of his artistic aims: “I am writing of the West, not of Indians primarily, and certainly not of the romantic West which best-selling authors have exploited to the detriment of a rational understanding of the meaning of the West, the Frontier, in American life. The tension between McNickle’s self-presentation as a regional writer and his cosmopolitan experience is crucial to understanding his authorial project, especially in The Surrounded, which I approach as a variation of regional modernism in which the aesthetics of regionalism and cosmopolitanism conflict. Regionalism and cosmopolitanism may seem unlikely terms for this analysis given that Native American literary criticism in the last twenty years has been focused on the struggle between tribalism and assimilation. As Robert Allen Warrior has pointed out, however, employing this analytic framework to discuss The Surrounded can be deceptive because the novel “is best understood in the context of [McNickle’s] New York period, when his major concern was for his own writing career rather than Indian communities (or identity).” Although I agree with Warrior that the McNickle who wrote The Surrounded has different commitments than the later McNickle, who became an activist and scholar of Native American history, I maintain that The Surrounded has much to offer on the topics of community and cultural survival. To demonstrate this I propose cosmopolitanism and regionalism as complementary terms that will enhance our understanding of the struggle that McNickle faced as a writer without models for tribalist modes of literary expression. McNickle struggles to adapt regionalist and cosmopolitan styles in his attempt to represent the Flathead reservation as a dynamic modern space and his struggles are mirrored in the protagonist’s fraught subject formation. Instead of a purely despairing account of the reservation as an underdeveloped region or an account of an exceptional cosmopolitan individual, The Surrounded dramatizes the tension between these two possibilities, representing the suffocating forces that constrain the mobility and agency of the Salish characters but also calling attention tribalist challenges to these constraints. 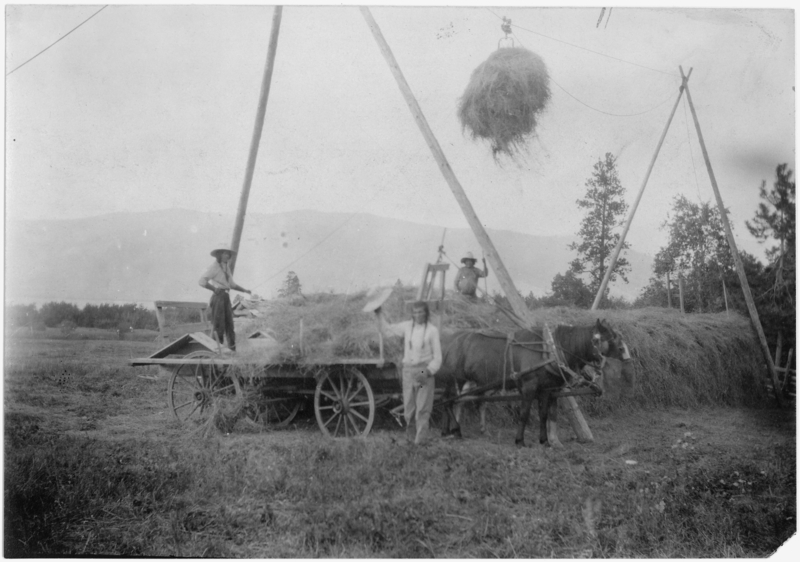 A farm on the Flathead Reservation ca. 1911-1939. An added benefit of employing these terms to analyze The Surrounded is that doing so makes it easier to avoid anachronism when conceptualizing McNickle’s aesthetic project. As scholars in other areas of ethnic studies have argued, defining the field of ethnic literary production exclusively in terms of the opposition between resistance and accommodation can blind critics to the nuance and complexity of artists’ aesthetic practices. This is not to suggest that the opposition between tribalism and assimilation is irrelevant to either pre-1968 Native American literature as a whole or to McNickle’s novel in particular. On the contrary, a struggle between a tribalist project of self-determination and an assimilationist federal policy is present in McNickle’s fictional representation of the Flathead reservation and in the actual history of the Salish people. An aesthetic model of tribalism in literature, however, would not be established until later in the twentieth century. In what follows I show how McNickle draws on and deviates from the modernist aesthetic practices that shaped his literary world. His concern with tribalism is filtered through his engagement with the tropes of modernist regionalism and cosmopolitanism. These tropes allow McNickle to explore the ethics of belonging in and to a particular space and to experiment with the cosmopolitan project of attempting to produce a mode of being and belonging that is not rooted in one particular space. Moreover, the tensions between cosmopolitanism and regionalism and between assimilation and tribalism inform and shape one another. Engaging with them in tandem allows for a more thorough understanding of the challenges that McNickle faced as he sought to write a novel that addresses the position of Native Americans in U.S. modernity. First, I define McNickle’s reservation modernism and situate it within other modernist era representations of Native American spaces. I then trace the protagonist’s trajectory through the text as he moves from being convinced of his status as a mobile, modern, cosmopolitan for whom the reservation is a space to leave behind to a more ambivalent relationship to this space. By the end of the novel the protagonist, Archilde Leon, is no longer secure in his sense of himself as an unrooted cosmopolitan and the conclusion leaves him involuntarily rooted in the very space he sought to escape. Although this conclusion is bleak, I locate a moment of tribalist potential in an oral history of the Salish that Archilde hears after returning to the reservation. This story moves Archilde and causes him to doubt the cosmopolitan ethos that he had embraced and to begin questioning his dismissive attitude toward the reservation as a space without a future. Despite the effect of this story, both Archilde and the novel ultimately follow a plot shaped by the tension between cosmopolitanism and regionalism to a tragic end. Although it is not fully developed, the tribalist impulse in this story offers a hint of an alternative narrative of Native American engagement with modernity and modernization. My reading of McNickle’s novel as a mode of reservation modernism is indebted to Ian Baucom’s formulation, in the context of African colonial and postcolonial modernity, of township modernism. For Baucom, township modernism arises from its spatial situation in which “the settler ‘zone’ . . . remains separated from the township by a colonial color-line (and anger-line, and poverty-line) masquerading (and too often mistaken) as the border, the boundary, the uncrossable ‘horizon’ of modernity.” The Native American reservation also is delimited by a physical boundary that distinguishes the modernity of the urban United States from what is frequently construed as its primitive past. 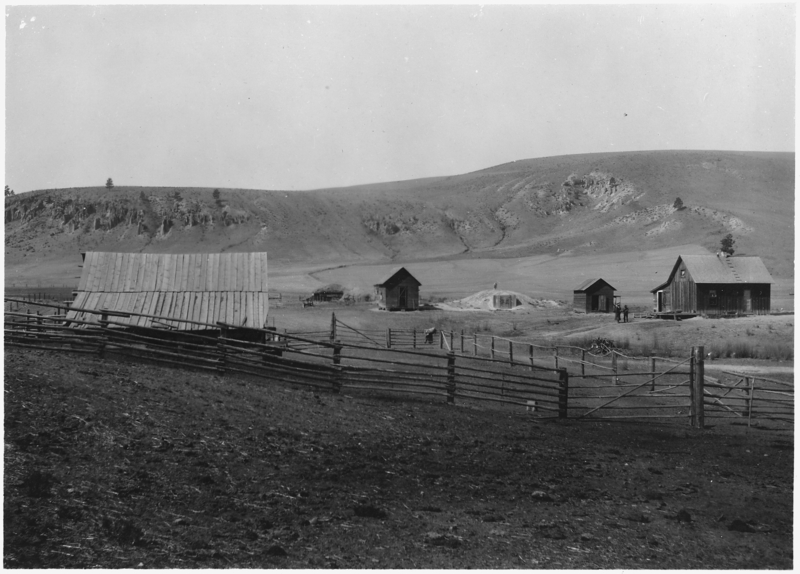 After allotment, which was implemented in the 1910s on the Flathead reservation, this spatial situation was exacerbated; allotment broke up the reservation and made parcels within it available for purchase by white homesteaders and speculators. In terms that resonate with Baucom’s account of the township, McNickle describes the effects of the opening of the reservation to white settlers on a fictional mission town, St. Xavier, which he modeled on the town of St. Ignatius. The town is riven by uneven development. According to the narrator it “belonged to two ages.” This temporal discontinuity between “the up-to-date quarter,” settled by newcomers, and “Indiantown,” distinguished by its “lack of plan and of sanitation,” shows that a colonial color-line can also stand in for a boundary that separates modernity from its geographical others. Like the African writers whom Baucom discusses, McNickle draws on a store of modernist techniques for representing the fragmented social world produced by modernization to expose the forces—economic, political, military, and police—that converge on this border and the effects of negotiating this space on its purportedly pre-modern inhabitants. A pithy example of McNickle’s approach to representing the reservation can be found in The Surrounded’s epigraph: “They called that place Sniél-emen (mountains of the surrounded) because there they had been set upon and destroyed” (ii). At first glance, this epigraph might seem to place the text squarely within a tradition of realist regionalism, if not deterministic naturalism, in which physical location dictates the structure of the narrative. A deterministic reading gains support from the novel’s conclusion, in which Archilde is arrested for a murder he did not commit. This narrative trajectory suggests that Archilde is also surrounded by forces bent on his destruction. Such a reading overlooks the conflict between the two clauses that form this epigraph. The dependent clause places the conditions of possibility of the independent clause in doubt, begging the question: how can “they” name the place in which “they” were destroyed? At the risk of paradox, McNickle’s epigraph implies that the destroyed people have not only a past, but also a present and a future. By having the site of destruction be named by those who were destroyed, the epigraph reverses the commonplace that it is the victors who write history. Another interpretation emerges for readers versed in Salish oral tradition. For this audience it would be clear that the two third person plural pronouns have different referents: the first refers to a group of Salish hunters and the second to the elk that Salish hunters killed to provide meat for the tribe in a time when food was scarce. In this interpretation, the epigraph unambiguously references Salish resilience and survival. Close attention to regional detail, in this case a single place name, allows McNickle to produce a vital historiography of tribal survival, what Gerald Vizenor has called survivance, despite The Surrounded’s bleak conclusion. The tension between the novel’s despairing ending and moments that point toward tribalist survival is at the heart of my analysis, which attends to the unexpected forms that tribalism takes in the novel. The field of cultural conflict in The Surrounded is complex because the novel represents the survival strategies that Salish people had been practicing since the 1830s. For the Salish, actions that might seem to indicate a bent toward assimilation, such as embracing Christianity or adopting crop farming and livestock ranching to supplement traditional economic practices, were undertaken for tribalist purposes. Similarly, McNickle adopts formal and aesthetic strategies from the archive of modernist representations of indigenous peoples and native land to reflect on the need for new survival strategies in a desperate moment in Salish history. The most important of these strategies are: allochronic representations of native peoples and places, the modernist cosmopolitan narrative of individual subject formation, and modernist modes of regionalism that show how power inscribes uneven modernization on particular regions. Each of these strategies signify ambivalently in The Surrounded because they originate in modernist primitivism. Misreadings of Indians as pre-modern people are common in American modernism. Critiques of modernist primitivism have called attention to such misreadings in a broad range of modernist art and literature. My attention here is on a less frequently remarked, because less obvious, connection between these primitivist representations of native peoples and a tendency to treat native lands as spaces cut off from modernity. In its most basic form, modernist primitivism segments the U.S. into modern and primitive regions, with Native American spaces placed firmly within the primitive region. Similarly, it represents Native American culture as an inert archive, transforming Native lands into repositories that preserve the past for modern, non-native audiences. Ultimately these misreadings of Native American places and cultures allow white modernists to understand themselves to be the natural descendants and heirs of Native Americans while ignoring the ways that federal and state powers worked to dispossess and disempower Native nations in the modernist era. Although modernist misreadings of Native lands and cultures as relics of a past age threaten to obscure the strategies of survivance that Native Americans employed to negotiate modernity, these tropes are useful for McNickle because they call attention to the uneven modernization that fragments spaces like the town of St. Xavier where The Surrounded is set. The most striking fictional example of a modernist misreading of a Native American place is Willa Cather’s representation of the Blue Mesa in The Professor’s House. In Cather’s account of this landmark Native American space, actual Native Americans are completely absent, making it easy for Tom Outland to claim it for “boys like you and me, that have no other ancestors to inherit from.” Although the mesa is a Native space, it is not present on officially recognized Native land, which allows it to be nationalized in the narrative like its non-fictional counterpart, Mesa Verde. Mesa Verde became a national park in 1906 and was a tourist destination when Cather published her novel in 1925. Will not the spiritual renewal of the race, especially of this rainbow-hearted race of ours which is forming out of the union of many strains—will not that spiritual renewal . . . come rather through a more direct appeal to more original sources—through the immediate contact of our people with nature in her sacred and intimate reserves? And will not the new art take its hint from aboriginal art—perhaps the art of the Aztecs and the pueblos—rather than from derivations of pseudo-classic derivations long separated from their primitive Greek source? This proposal for a new genealogy of American art simultaneously elevates Native American culture to a lofty position of aesthetic authority and places it in the ancient world. Moreover, Monroe’s concept of aboriginal art homogenizes its referents, as shown in her implicit equation of the very different aesthetic traditions and historicity of the Aztecs and the Pueblos. One of the attractions of conflating the Pueblos with the Aztecs for Monroe’s aesthetic project is that the problems of cultural translation and transformation that separate the modern writer from a classical source disappear. In Monroe’s formulation the Pueblos are contemporary sources of supposedly primitive models for a new American art. It is not impossible to know what preceded Homer . . . and to make this discovery one need not project oneself imaginatively backward through time or immure oneself in a library: one need merely project oneself physically on a two-or-three-days’ journey from any of the principal cities of the United States, and witness a dance-drama of the south-western Indians. Here, cities are metonyms for modernity while the southwest is the region of the primitive past. Monroe employs a similar technique in “Back to Nature” when she extols the “austere and strange” beauty of the southwestern U.S. and lists among its attractions “primitive life practicing primitive art in tribal islands surviving out of the past.” Monroe’s reference to “tribal islands” is the closest she or Corbin Henderson comes to referring to the reservation system. The political and military force that displaced Native peoples is replaced by a temporal field that separates these “islands” from the mainland of modernity. In both accounts, the result of modernization is a radically discontinuous mapping of history onto discrete, culturally marked spaces, with the implication that residents of the spaces marked off as modern are free to traffic in anything they might be able to salvage from the spaces that contain the past. McNickle reworks this mapping of uneven development to call attention to the kinds of meanings that emerge from the reservation itself. These glancing references to Native land occlude both the political and social forces that produce the reservation system and the agency of modern Native Americans. Even a work like Oliver La Farge’s 1929 novel Laughing Boy, set entirely within the Navajo nation, tends to mystify native land and erase the questions of sovereignty and tribalist self-determination that were important to the residents of these spaces during the modernist era. Although Laughing Boy is set within the boundaries of the Navajo nation, the word reservation rarely appears in the novel, which is romantically drawn to the “unmapped cañons, and the Indians who spoke no English.” At a few moments, however, La Farge’s novel gestures to the power relations that are the primary focus of McNickle’s fiction. Tellingly, one of these scenes is also the first in which the word “reservation” appears in the novel. As Laughing Boy prepares to take part in a horse race, a series of shots ring out drawing the attention of the congregated Navajos to a tense scene in which one Navajo man has been arrested, another injured, and a Hopi man has been killed. As the scene unfolds the narrator comments that “The older men hoped there would be no trouble; nothing to bring soldiers into the reservation” (46). Although the tension is defused, the menace of federal power lingers in the thoughts of some disgruntled onlookers who ask one another “What would you do? You can’t fight Washindon. Do you want them to send soldiers in here again? Shall we go into exile again?” (48). This brief scene is exceptional; it recalls the history of Navajo displacement and illustrates the precariousness of reservation existence for any who are inclined to resist federal power, a predicament that McNickle will explore further in the multiple encounters with law enforcement officials that take place in The Surrounded. In Laughing Boy, however, the effect of this scene is temporary. In fact, the novel’s mapping of the Navajo nation seems driven to undo the effect of this scene. As Laughing Boy progresses, La Farge develops a contrast between the northern portion of the Navajo nation, with its “unmapped cañons" and deserts, and the southern part, where the above scene takes place. The latter space is a contact zone, while the former is figured as a land of authenticity. Where McNickle sought to place the two parts of St. Xavier into relation with one another, and questions the aesthetic sense that would judge Indiantown by the standards of the “up-to-date quarter,” La Farge presents the hybridized portions of the Navajo nation as blights on the face of its natural beauty. When describing the town of Los Palos the narrator is scathing: “[t]he mean little town was a parasite on the goodness of the water; here water and earth and man made beauty; there man and mud and boards created squalor” (74). Joel Pfister rightly argues that Laughing Boy critiques the “White therapeutic ethos” and “remaps the Romantic Subjective Southwest consumed by tourists”; nevertheless, its division of the Navajo nation into a tainted hybrid region and a pure land of authenticity is symptomatic of a romantic misreading of reservation space. La Farge’s novel maps a world in which one might either identify with the ugly cosmopolitanism of Los Palos or seek escape in authentic ethnic regionalism in the north. In contrast, McNickle’s novel redeploys modernist regionalism to confront the reader with a reservation space that defies easy categorization and challenges those seeking to survive within it. The complexity of McNickle’s engagement with the tropes of modernist regionalism and cosmopolitanism is especially apparent when one compares the final draft of The Surrounded with McNickle’s earlier draft of the novel, titled “The Hungry Generations.” Unlike The Surrounded, which takes place entirely on the Flathead reservation, “The Hungry Generations” follows Archilde from Montana to Europe and back. This version of Archilde is consistently alienated from Salish culture and community. He embraces the modernizing lessons that he had learned at boarding school and from his Spanish father and proceeds to implement them both on the land that he inherits, which he plans to cultivate with wheat, and in the upbringing of his nephews, which he takes on to “make white men out of them.” The early version of Archilde follows a cosmopolitan itinerary to an assimilationist conclusion; correspondingly he sees the potential emergence of tribalist resistance as a threat to be avoided at all costs. Photo captioned, "John Charley stacking hay - successful Indian farmer 23 July 1914," by photographer. In The Surrounded, although Archilde begins the novel committed to pursuing a cosmopolitan itinerary, he remains in place and consequently confronts the power structures that constrain the Salish. These conflicts lead him to abandon the cosmopolitan desires that animate the earlier version of the character. Whereas the earlier version of Archilde seeks to facilitate his nephews’ assimilation, the later version supports their desire to run away from the local boarding school. Here McNickle ironizes the modernist cosmopolitan plot of subject formation. The differences between these drafts might suggest that, for McNickle, regionalism lends itself to tribalist aesthetics while cosmopolitanism maps onto the project of assimilation. This tidy schema, however, is not adequate to a full understanding of the stylistic and conceptual coordinates of the world of McNickle’s fiction. The final version of the novel calls attention both to the forces that constrain the movement of Salish people, imposing a regional identity on them, and to the forces that seek to remove the younger generation from the reservation in order to keep them from being acculturated as members of a Salish community. Consequently at times freedom of movement is invested with the potential for tribalist resistance and at others the desire for uninhibited movement is tantamount to a rejection of Salish culture and identity. The ambivalence of McNickle’s reservation modernism regarding the adequacy of either cosmopolitan or regionalist versions of modernism for representing the reservation marks this project as a version of late modernism, which, as Tyrus Miller argues, tends to ironize and critique the forms of high modernism. A similar ambivalence runs through the Osage writer John Joseph Mathews’s 1934 novel Sundown, which also explores the difficulty of negotiating the modern reservation system. Like Archilde, Mathews’s protagonist, a young Osage man named Chal Windzer, is driven by a fantasy of cosmopolitan unrestrained movement. Where Archilde wishes for an aesthetic expatriate experience, Chal seeks to leave the earth behind altogether as a military pilot. After becoming disillusioned when he is not permitted to join combat operations, Chal gives up flying to return to the Osage reservation, to which he has grown more attracted. By the time he returns, however, the reservation is in the middle of a chaotic transformation brought on by an oil boom, producing another version of reservation modernism in which the indigenous blackjack oaks that grow in the area are cleared to make room for oil derricks and the towns, like McNickle’s St. Xavier, become contact zones for Native American and Euro-American ways of living. You are an Indian. Here are the graves of your grandfathers. You came out of this earth here. The life of this earth here comes out of ground into your feet and flows all over your body. You are part of this earth here like trees, like rabbit, like birds. Our people built their lodges here. That which come out of the ground into their feet and over their bodies into their hands, they put into making of their lodges. They made songs out of that which came out of ground into their bodies. Those lodges were good and beautiful. Those songs were good and beautiful. Thoughts which they had were good because they came out of ground here. Chal’s desire for flight opposes this ethics and aesthetics of rootedness, in which the people and their works are shaped by their connection to the earth. Instead of providing a clear resolution to this tension, the novel ends by replacing his dream of flying with a plan to attend law school at Harvard. Even at the end of the novel, Chal’s aspiration to embark on a career that might allow him to work for tribalist purposes requires him to leave. As we will see, Archilde’s story also is driven by his ambivalence about the possibilities available in reservation modernity. Archilde’s ambivalence is apparent in the different tactics that he employs as he attempts to develop a way of living on the Flathead reservation. Archilde occupies an important position in this place. The son of a Spanish farmer, Max, and his estranged, devoutly Christian, Salish wife, Catharine, Archilde is both racially and culturally hybrid. Although his interactions with both his father and his mother can be fraught, at times leading him to disavow his connections to them and to the cultural norms that they espouse, his parents, like most characters in the novel, see Archilde as a sign of the future. Archilde’s status as a figure of futurity challenges the primitivist tendency to re-center accounts of native cultures on white Americans who can learn from them. The complexity of McNickle’s account of the reservation arises from Archilde’s struggles to understand this space. Archilde is the focalizer for the majority of the narrative; McNickle’s narrative technique forces the reader to work through Archilde’s blind spots and to make sense of moments in which his values change. The sections of the text in which other characters take on the role of the focalizer provide additional insight into Archilde’s situation and allow for a broader sense of the range of survival strategies available to him. At the beginning of the text Archilde constructs himself as mobile modern by distinguishing himself from the regional ethos that he associates with the Salish elders, especially his mother. This narrative dynamic recapitulates the distinction between modernist cosmopolitanism and nostalgic regionalism. This construction, however, is fragile. An encounter between Archilde and his father leaves the younger party shaken and bereft of the security that he demonstrated in the encounter with his mother. Archilde’s fluctuating sense of himself is a sign both of the difficulty of his predicament as a young Salish man negotiating modernity and of McNickle’s struggle to produce a protagonist and a narrative. The novel begins with Archilde’s return to the reservation from Portland, Oregon, where he supported himself as a musician. Archilde’s education in a government boarding school has won him skills that grant him economic independence and mobility in the world outside of the reservation. As Archilde tells Catharine, “‘I can always get a job now any time I go away’” (McNickle, Surrounded, 2). Archilde’s phrasing emphasizes both his confidence in his prospects on the modern labor market and his sense that finding such prospects requires that he abandon the Flathead reservation. Although his time away alienates him from his Salish relatives, it also fosters in him a sense of his own capacity for self-determination in the face of a dominant legal system that treats Indians as dependents, incapable of agency and self-representation. Here Archilde appears to be the incarnation of the logic of cosmopolitanism, according to which individual modernization produces freely roaming inhabitants of modernity. McNickle further dramatizes the conflict between Archilde and Catharine when Archilde fails to explain his whereabouts and activities to Catharine. This failure is partially linguistic and partially conceptual. When Archilde tells Catharine he has been in Portland “she let the word echo in her ears, saying nothing herself, but it had no meaning” (2). The meaninglessness of the word Portland to Catharine seems to support Archilde’s judgment of his mother’s removal from modernity. The narrative complicates this reading by suggesting that Catharine is not altogether ignorant of the geography of the world beyond Sniél-emen: “If he had said he had been down toward the mouth of the Snpoilshi (Columbia) River, she would have known what he meant” (2). This qualification implies that Catharine knows the physical geography of the world beyond the Bitterroot Valley well enough for the place where the river meets the ocean to be significant to her. Nevertheless, she does not know the place names that are necessary to orient oneself in the modern United States, lending support to Archilde’s sense that she lives in a different world. Archilde divides the practical world off of the reservation, in which one may speak of fiddle playing and other modes of gainful employment, from his mother’s world, in which such concerns are irrelevant. In this passage the reservation sounds like a vacation spot–a place to dabble in nostalgic pastimes. Indeed, although the reservations of the northern plains tribes lacked the thriving tourist economies of the southwestern reservations, they were not altogether exempt from the curiosity of Euro-American spectators. In a scene later in the novel, Archilde watches a Salish dance that has been incorporated into a Fourth of July celebration and transformed by what the narrator calls “the circus atmosphere” into a “sad spectacle” (216, 217). In the later scene, Archilde seeks to identify with the Salish dancers and to avoid identification with the white spectators who mock the dance. In this early scene, however, Archilde’s desire to present himself as a cosmopolitan sophisticate leads him to approach the reservation as if he was a tourist on vacation from modernity. Because he has deep ties to the reservation, this posture is not sustainable. McNickle provides multiple clues that Archilde’s sense of an absolute gap between himself and his mother is also untenable. For instance, Archilde considers his mother’s actions to be absolutely dominated by her “fear of hell, for herself and for her sons,” a fear that Archilde no longer shares (Surrounded, 4). On the surface this functions as a conventional gesture of generational distinction in which the younger secular generation rejects the religious dogma of the past. In the context of Salish history, however, Catharine’s Christianity is the result of a process of hybridization and cultural translation that disrupted traditional Salish beliefs. Her conversion takes on an additional significance when we consider that the tribe’s decision to seek out and embrace Catholicism in the 1830s and 1840s was a survival strategy motivated by clear tribalist principles, not an act of assimilationism. Although Catharine’s beliefs seem outmoded to Archilde, the novel will show that his sense of his own modern distinctiveness is a result of a similar survival strategy. The complexity of Archilde’s relationship to the reservation becomes clearer when he encounters his brother, Louis and his sister, Agnes. In his encounters with his siblings we see another reason for Archilde’s aversion to being linked directly to the reservation. In the scene with his mother Archilde treats the reservation as a space outside of modernity. In the scenes with Agnes and Louis, it becomes for him a site of pathological modernity that traps its inhabitants in cycles of meaningless, self-destructive behavior. When Agnes asks him if he plans to stay, after he has been back for a few hours, he replies: “I have seen enough already. Tell me what you think a fellow can do here—steal horses like Louis? Drink and run around? No. The world’s big. I’ll find something to do” (McNickle, Surrounded, 15). Once again, Archilde assumes that he knows and can pass judgment on the reservation. Later in the novel the reader sees just how misleading Archilde’s claim to “have seen enough” in a few hours is; even characters who have been immersed in the world of the Flathead reservation for decades struggle to understand and come to terms with its fraught position within modernity. In the rest of his address to Agnes, Archilde presents a revised account of reservation life in which criminal activity and recklessness replace the nostalgic pleasures that he earlier invoked. Given that Archilde enters the novel espousing a cosmopolitan ethos, a contemporary critic might look to Louis, Archilde’s brother who violates the property rights of white settlers in Sniél-emen, for a model of something closer to tribalist resistance. When we first meet Louis, however, he is not a promising figure. The narrator explains that “Louis had a slow mind,” encouraging the reader to see him as Archilde’s inferior double (McNickle, Surrounded, 17). In the exchange that follows, Louis’s bellicosity and greed confirm the narrator’s negative portrayal. Max watched him cross the yard. “Well, what about it?” . . . He could not quite equal his father’s contempt. “You’ll make a good Indian!” Max heaped it on and ended by scowling. Max’s insistent policing of his son’s identity punctures Archilde’s conception of his fishing trip as a romantic excursion that would allow him to preserve an archive of experiences rooted in the reservation so that “wherever he might go, he would always keep the memory of these things” (14). Max’s scornful rhetoric of racial degeneracy disrupts Archilde’s version of cosmopolitan selfhood by calling into question the stability of Archilde’s identity as an inhabitant of modernity. Where Archilde sees himself embarking on a salvage mission into a realm of experience to which he will soon lose access, in Max’s view he is simply returning to his true Indian self. Later in the novel, Max and Archilde come to an understanding; however, this understanding is always shadowed by Max’s suspicion that Archilde’s Indian-ness is a dangerous remainder. These early encounters illustrate the fraught nature of Archilde’s relationship to the Flathead reservation. As the novel progresses Archilde becomes less confident in his cosmopolitan exceptionalism and less sanguine about the prospects of those who pursue the federal government’s assimilationist agenda. He grows more attached to the space of the reservation, working the land with his father and going riding and fishing by himself or with his nephews. These developments point to a potential future in which Archilde may successfully negotiate reservation modernity in the interests of tribalism. This hope is quashed when Archilde confronts agents of the federal government. Archilde’s encounters with law and power on the reservation violently foreclose the optimistic future that he had seemed to be approaching. In two crucial scenes, Archilde confronts first a game warden and later a sheriff. The first scene occurs about a third of the way into the novel, just as Archilde becomes reconciled with his parents. The second closes the novel. Each scene places additional pressure on Archilde’s cosmopolitanism because the warden and sheriff do not respond to his attempts to differentiate himself from the other Salish. The failure of cosmopolitanism does not give way to tribalist resistance; rather, federal power seems inescapable. The first scene takes place while Archilde and Catharine are on a hunting trip. While riding into the mountains, they encounter Louis, in hiding after stealing horses, and a game warden. Hoping that his cosmopolitan sophistication will pull him through, Archilde takes on the role of the family’s spokesperson: “Archilde felt at ease, though he could see that Louis and the old lady were nervous. The Law was a threatening symbol. He would have to speak for them” (McNickle, Surrounded, 124). Archilde sees this “arm of the law” not as a threatening symbol of the colonial order but instead as an “unexpectedly pleasant sort of man—on the surface at least” and attempts to engage him in a discussion of treaty rights and Indian exemption from game laws (124). Archilde’s self image blinds him; furthermore his relative lack of experience dealing with federal power on the reservation means that his confidence is founded in part on ignorance. In contrast, Catharine’s and Louis’s fear results from their experiences with U.S. lawmen. Consequently, Archilde’s easiness in this situation is an indicator not of cosmopolitan sophistication but of his naïveté. It quickly becomes clear that Archilde’s confidence is not only the result of self-deception; it is also a mask. Later the narrator explains: “Archilde pretended to be sure of his ground, though he really knew nothing about it” (125). The hopelessness of Archilde’s position, arguing in favor of rights that he may or may not possess, is resonant with the history of the federal government’s manipulation and redefinition of the political standing of Native Americans. Just as the earlier depictions of Archilde made him appear to be an unfettered hybrid cosmopolitan partaking of the freedoms associated with normative U.S. citizenship, this portrayal, in which he emerges as a dominated subject unsure even of which of his rights are being violated, links him to other subjects of US colonialism. In a development that should surprise no one familiar with the history of treaties between the U.S. and native nations, Archilde’s tribalist invocation of treaty rights does not have its desired effect. When he says “‘We’re Indians, and we’re free of game laws,’” Archilde explicitly links the identity category of Indian with native sovereignty (125). The Warden’s response, “‘I guess I’d know you was Indians.’ The voice turned sharper. ‘But far’s I know there’s no exemption on female deer,’” asserts a legal order in which Indians are not sovereign but instead are subject to federal and state laws (125). This scene ultimately erupts, with the warden shooting Louis and Catharine killing the warden with her hatchet. All the while, Archilde looks on. Catharine breaks the Salish taboo on violence against whites in her desire for vengeance for Louis’s death, while Archilde seems to remain tied by the logic that holds that colonial subjects who desire the benefits of modernity dare not act against agents of modernization in any form. Although it failed to sway the warden, Archilde cannot discard the cosmopolitanism that he cultivated while away from the reservation. He retrospectively interprets the scene as a verdict on his own weakness for not leaving the reservation. Imprisoned after the incident, he tells himself “[t]he road stood waiting. You had only to go. But you let them talk you into staying. Perhaps it’s just what you deserve” (McNickle, Surrounded, 132). Archilde understands his implication in the death of the warden as a fitting punishment for his failure to adhere to the modern ethos of mobility symbolized by the road. In this narrative Archilde deserves to be imprisoned and cut off from any kind of future because he gave in to a conservative sentimentalism by remaining in the space of the past, the reservation. Here Archilde figures the reservation as a physical containment system analogous to the prison that he is in. Where the prison holds those who are convicted of breaking the law, the reservation holds those who are willing, by remaining there, to convict themselves of being Indian. In the aftermath of this encounter, two different narratives emerge. A tribalist narrative develops from subplots concerning Catharine and Archilde’s nephews, Mike and Narcisse. The other narrative finds Archilde “drinking and running around,” engaging in the behaviors that he had scorned. Each of these developments indicates dissatisfaction with cosmopolitanism as a strategy for negotiating reservation modernity. By indulging in the activities that he earlier had represented as symptoms of the paucity of opportunity on the reservation, Archilde flirts with abandoning his status as an exceptional figure whose future lies beyond the reservation’s boundaries. In contrast, his relatives engage in a conceptual escape by reviving tribalist traditions. After a winter of soul searching and reflecting on the events of the hunting trip, Catharine realizes that: “She was a pagan again. She who had been called Faithful Catharine and who had feared hell for her sons and for herself—her belief and her fear alike had died in her” (McNickle, Surrounded, 173). The same experience leads Catharine and Archilde to opposed conclusions. Catharine’s ability to construct a narrative for herself out of this experience stands in stark contrast to Archilde, who laments that he allowed his detour into the reservation space to interrupt his original cosmopolitan itinerary. Like their grandmother Catharine, Mike and Narcisse break away from a key institution of the colonial order on the reservation, the school. Mike has been traumatized by a series of punishments at school, leaving him afraid of the dark and unable to sleep. After participating in a ceremonial dance alongside the Salish chief, Modeste, Mike is cured. This experience leads the nephews to run away from school and to attempt a return to traditional ways of life. Archilde, who formerly attempted to convince his nephews of the importance of attending school, does not object, but instead of attempting a return to tradition he begins to engage in the behaviors he previously abjured as signs of the reservation’s status as a pathological version of modernity. Elise’s disregard for danger and attraction to action stand in stark contrast to Archilde’s more careful and measured mode of negotiating modernity. Where Archilde calculates, the narration suggests that Elise behaves according to her nature, creating an implicit contrast between Elise, who is natural, authentic, and naïve, and Archilde, who is modern, hybrid, and sophisticated. This description recalls the moment at the opening of the novel in which Archilde contrasts his modernity with his mother’s presumed conservatism. The prior opposition required that Catharine’s Christianity be conflated with Indian-ness; similarly this account of Elise effaces the process of hybridization through which she appropriated her flapperesque stylings. Just as Catharine’s actions forced Archilde to revise his inaccurate portrait of her, he also discards this account of Elise. The opposition between Archilde’s mediated modernity and Elise’s natural naïveté collapses when Archilde informs Elise of his intention to leave the reservation and continue the pursuit of his project of self-modernization. Instead of acting as a retarding force, Elise anticipates Archilde and encourages him in his project, indicating that her apprehension of modernity is equivalent, if not superior, to Archilde’s. The novel concludes with a scene that mirrors the encounter with the warden on the hunting trip. Elise leads the fugitive Archilde, accompanied by Mike and Narcisse, into the mountains where they encounter the Sheriff. In a scene rife with symbolic significance, Elise, the bewilderingly modern native woman, coolly shoots Sheriff Quigley, the symbol of the old west. Elise’s act of violence seems to call for an interior narrative similar to the one that McNickle affords to Catharine after she kills the warden. None, however, is forthcoming. McNickle’s decision not to extend to Elise the same free indirect discourse that is granted to Max, Catharine, and other secondary characters makes her elusive for the reader. Her only explanation for killing Sheriff Quigley is that “I did it because it’s so good to be with you,” to which Archilde responds by twice calling her a “damn fool” for thinking that “killing a man would keep us together” (295). Elise’s efforts backfire; the sound of gunshots only attracts the attention of Parker, the Office of Indian Affairs agent, and the Indian police officer, who had been waiting nearby. Instead of ushering in a new narrative, Elise’s action brings about the novel’s conclusion, which focuses almost completely on Archilde. Despite Elise’s culpability in the murder of the sheriff, neither the men who arrest her and Archilde nor the narrator pay her much attention. After Parker and the Indian police officer appear on the scene, Elise’s presence is only registered twice: once in a reference to her and Archilde with the plural pronoun “they” and again when the agent orders the police officer to handcuff “the two of them” (296). The novel closes with a face-off between Parker and Archilde in which they engage in a discursive struggle over the definition of Indian identity. While Parker harangues Archilde about the failings of “you and all your kind,” the nephews escape, prompting one last salvo from the Agent: “It’s too damn bad you people never learn that you can’t run away. It’s pathetic—” (296-97). The Agent never finishes his harangue. Archilde interrupts him by silently presenting his hands to be shackled, belying the Agent’s claim to authoritative knowledge of Indian behavior. Archilde’s gesture indicates the lengths to which he is willing to go to distance himself from an oppressive discourse of identity. Counterintuitively, Archilde’s cosmopolitan individualism reinforces the regionalist plot in which escape is impossible. This bleak ending supports Robert Allen Warrior’s and Louis Owens’s readings of The Surrounded as a despairing narrative in which native agency fails. For both critics, the celebration of The Surrounded as the most accomplished Native American novel of the modernist era is suspect, because the novel’s tragic, deterministic ending offers the reader a spectacle of doomed Indian attempts to negotiate modernity. Although this is not the therapeutic spectacle that so many Euro-Americans sought in the reservations of the southwestern US, the power dynamics are consistent. For a Euro-American reader versed in modernist representations of native peoples and spaces, the novel might seem to be nothing more than a spectacular confirmation that these allochronistic representations of the reservation and those who inhabit it are correct. Such a reading, however, requires that we marginalize the moments of tribalist potential that emerge during the novel. In closing, I turn away from Archilde’s narrative to focus on an earlier moment in the novel in which a collective account of reservation modernity emerges. This account, although it is hardly optimistic about the future of the reservation, provides an example of tribalist cultural survivance. I find the potential for a tribalist narrative in two early chapters devoted to accounts of Flathead history. The two chapters focus on the versions of the reservation’s history contained in Father Grepilloux’s journal and in the stories told at a feast in honor of Archilde’s return. These stories are told on the same day, showing that multiple narratives of the reservation’s history coexist and compete in a single moment. McNickle draws documentary sources into both the stories and the journal entries: two of the folktales are adapted from ethnographic collections, and Father Grepilloux’s journal closely follows the narrative of the foundation of the Catholic mission to the Flatheads found in the journals and letters of Father Pierre-Jean de Smet. After providing examples of Euro-American written history and Salish oral tradition, McNickle concludes with an original contribution, an oral history of the Salish. This oral history breaks with the forms both of official historiography and the Salish oral tradition in order to point out the gaps and blind spots in the previous narratives making it an example of what Christopher Teuton calls the critical impulse, which “disrupts textual authority by critiquing dominant texts in new contexts and forms that counteract the static tendencies to which both graphic and oral discourses are prone.” This narrative of survivance undermines Archilde’s mapping of the reservation as a space with no future and provides a glimpse of a dynamic history of Salish tactical engagements with modernity that contradicts the novel’s despairing conclusion. Furthermore it shows why the regionalist and cosmopolitanist tropes that structure the novel, and that Archilde attempts to use to understand himself, fail. Here the Salish appear to court the kind of “disciplinary paternalism” that Piatote describes as one of the central principles of federal Indian policy in the modernist era. When the Salish leaders attempt to cede not only their spiritual leadership but also their political power to the missionaries they seem to figure themselves as dependents, as if to confirm the dictates of federal policy. Photo captioned, "Salish men on July 4th stand by tepees near St. Ignatius Mission, Flathead Reservation, Montana, 1903," by photographer. Some cracks begin to appear in Grepilloux’s narrative if we consider that the tribe’s knowledge of the differences between Christian denominations is a result of the already hybrid nature of the reservation, which is a zone of contact between different tribes. Grepilloux notes that the Salish “had heard of these things [the attributes of Catholic priests] from some Iroquois Indians, who had gone to live with them” (McNickle, Surrounded, 48). This passing reference to the presence of Eastern tribes on a reservation in Montana bears witness to the history of progressive dispossession and displacement that went into the creation of the reservation system. Unpacking this detail allows us to see that the qualities in the Salish that Grepilloux ascribes to the natural inclination of their hearts actually result from a series of intercultural transactions. Grepilloux’s account creates a narrative of progression from “imperfect” pagan practice to perfection in the Church. Grepilloux’s acceptance of the continued practice of whipping, so long as it is followed by confession, illustrates the strength of his assurance that it had always been a gesture toward the Salish people’s inevitable Christian future. The order in which the rites are performed—whipping first, then confession—recapitulates Grepilloux’s account of the theological development of the Salish from pagans to Christians. Moreover, this narrative negates Salish agency by suggesting that they are swept along by the tide of theological progress. An opposite account of the role of the Salish in shaping their own modernization emerges from the stories told at the feast that Catharine organizes in Archilde’s honor. Even the traditional folktales are about cultural change. James Purdy has analyzed the development of Archilde’s reactions to the stories from contemptuous boredom to deep emotional engagement. Purdy reads the feast as the result of McNickle’s effort to create “a scene and mood that are purposefully suggestive of precolonial times” and consequently sees the scene as an initiation through which Archilde becomes versed in the old ways (51). This turns attention away from the manifestations of modernity that permeate this scene; moreover, it obscures the important distinction between Modeste’s oral history and the traditional folk tales. Modeste’s oral history revises and transforms the account in Grepilloux’s journal while departing from the conventions of the oral tradition. Additionally, Modeste’s story plays a crucial role in bringing about Archilde’s realization that these stories are more than self-indulgent trips into the past; the critical thrust of Modeste’s story disrupts not only the earlier stories but also Archilde’s sense of his own distinction. Modeste’s story reorients Archilde. No longer separate from Salish history, he becomes a participant in the long tradition of fraught Salish negotiations with modernity and modernization. Modeste, the blind elder whom Archilde had dismissed as an anachronistic presence, becomes a potential figure of the storyteller as reservation modernist. Although Modeste recognizes the transformations brought on by modernization when he validates Archilde’s claim that “the old days are dead,” he insists that knowledge of those days remains important for those seeking to negotiate the cultural and political landscape created by modernization on the reservation. Where Grepilloux’s account afforded the Salish agency primarily in their willingness to embrace Catholicism, Modeste offers a much more complex portrait of tribalist survival strategies that emerge from changing geopolitical and economic conditions in the Bitterroot Valley. Before arriving at the moment in which the Salish welcome the missionaries, Modeste gives an account of the Salish acquisition of rifles, which begins with the U.S. government’s decision to provide firearms to the Salish’s rivals, the Blackfeet, positioning the Salish in an arms race. The introduction of firearms produces two major cultural effects on the Salish to which Modeste calls attention: recognition of the need for good relationships with U.S. government officials and the rise of an unprecedented destructive culture of warfare. In contrast to the missionary account, Modeste’s history uncovers the calculations that went into the formation of ties between the Salish and whites. Instead of bringing greater prosperity and strength, the guns institute a culture of constant warfare that creates a generational gap similar to, but perhaps even more radical than, the one separating Archilde and Modeste: “‘The old ones could say it had not always been thus, but the young ones thought they talked in dreams. For them the world had always been bitter’” (72). Instead of conceptualizing Salish history as a continuity, which would implicitly support Archilde’s assumption that the reservation is a space in which nothing ever changes, Modeste offers a history of rupture in which cultural survivance must be won, not once but repeatedly, in the face of destructive modernization. The Salish desire to become Christian, which leads Grepilloux to brand them “blessed children,” emerges in a new light here as a desperate attempt to regain worldly power in the face of the failure of their military efforts. Modeste’s verdict on this last ditch effort to regain the tribe’s lost power—“We thought they would bring back the power we had lost–but today we have less”—destabilizes even Grepilloux’s despairing final hope that the Salish “have God” to make up for their worldly losses (74). In Modeste’s version of history, Christianity is not a final destination for the Salish, but is instead an attempt to survive despite the forces arrayed against them. The superiority complex of the European creates a corresponding sense of inferiority in the native, who attempts to overcome this feeling by espousing Western values and social customs only to discover in the end that although the colonial system offers the European as a model for emulation it also effectively blocks the means to education, assimilation, and equality. Even the very option to emulate the European puts the native in a double bind: if he chooses conservatively and remains loyal to his indigenous culture, then he opts to stay in a calcified society whose developmental momentum has been checked by colonialism. If, however, the colonized person chooses assimilation, then he is trapped in a form of historical catalepsy because colonial education severs him from his own past and replaces it with the study of the colonizer’s past. Modeste’s history positions Archilde in a different temporality from the one he had thought of as being his. Instead of being a lone voice of modernity on the reservation, ready to leave the static set of outmoded folkways and primitive beliefs behind him once and for all, he is forced to see himself as the continuation of a history of Salish attempts to turn modernity to their own purposes. Moreover, Modeste provides an example of a critical tribalist practice that refuses to either pledge absolute fealty to traditional forms or to abandon them altogether. Although this lesson seems to take hold on Archilde in the moment, as we have seen his worldview is not completely transformed. The troubling conclusion of the novel dramatizes the processes through which U.S. imperialism acts to foreclose alternative narratives. Although Modeste’s story, like Catharine’s rejection of Christianity and Mike and Narcisse’s decision to run away from school, indicate that the tropes of deterministic regionalism and cosmopolitanism are not sufficient to represent the complexity of reservation modernity, the novel cannot escape these two narrative modes. Archilde’s actions remain constrained by these two ways of conceptualizing his relationship to the space of the reservation. By the end of the novel, McNickle reaches a point at which he cannot imagine an alternative story. Instead, the final scene dramatizes a breakdown in communication between Archilde and Agent Parker that leaves the reader feeling that narrative and language have reached a dead end. This failure takes on literary historical significance when we consider that McNickle abandoned his literary career shortly after The Surrounded’s publication. Despite the commercial failure of The Surrounded, Dodd Mead remained interested in publishing McNickle’s work, albeit without an advance for the second novel. McNickle, however, could not make time for writing while working full time in his new job at the Office of Indian Affairs. Like Modeste’s narrative, which affects Archilde but does not ultimately alter his deterministic narrative trajectory, The Surrounded entered the literary field of late modernism but did not significantly change its structure. The novel, like Modeste’s story, remains subject to the constraints of the cultural world into which it emerged. If we end here, however, it becomes difficult to understand The Surrounded’s subsequent recovery and afterlife as a founding text of Native studies. One reason for this change in the novel’s status is that it directly confronts the difficulty of attempting to imagine a alternatives to modernity. These alternatives emerge as underdeveloped or tangential narrative threads, like Modeste’s storytelling, and in scenes of frustrated potential, like the novel’s conclusion. The formal closure of McNickle’s novel is tragic because it squelches the process of anticolonial tribalist development, leaving the reader faced instead with a totalizing narrative of modernity in which Native American agency and intellectual history exist only to be subordinated, contained, and cut off. In our own moment, in which the drive to expand the purview of modernist studies has substantially reshaped the parameters of the field, McNickle’s reservation modernism provides a useful reminder to attend to what Fredric Jameson has called “the ‘uneven development’ of the ideology of modernism itself.” For colonized indigenous populations in the U.S. and around the world, the legacy of modernist primitivism makes participation in modernist discourse and aesthetics necessarily fraught. If the expanded field of modernist studies is to avoid the Eurocentrism and allochronism that characterized the work of high modernism, it must take seriously peripheral and colonial revisions of modernist aesthetics such as McNickle’s reservation modernism. This entails careful attention to moments of failure, impossibility, and frustrated potential that expose the limitations of, in McNickle’s case, regionalist and cosmopolitan versions of modernism. It is my contention that these moments of frustration register both McNickle’s disenchantment with modernity and modernization and his sense that an audience for his novel does not yet exist. The value of McNickle’s work, and of other recovered texts, is that their impasses point to alternatives and potentialities that remain unrealized in the present as well. ^ McNickle to Collier, May 4, 1934, General Correspondence, McNickle Papers, Special Collections, Newberry Library. ^ For a reading of The Surrounded as a novel wavering between realism and naturalism, see Rita Kerezstesi, Strangers at Home: American Ethnic Modernism between the World Wars (Lincoln: University of Nebraska Press, 2005), 133-51. For an argument in favor of cosmopolitanism as a mode of Native American literary criticism see Arnold Krupat, Red Matters: Native American Studies (Philadelphia: University of Pennsylvania Press, 2002), 20-23. ^ This focus is a result of the influence of Robert Allen Warrior’s Tribal Secrets: Recovering American Indian Intellectual Traditions (Minneapolis: University of Minnesota Press, 1995), Jace Weaver’s That the People Might Live: Native American Literatures and Native American Community (New York: Oxford University Press, 1997), Craig S. Womack’s Red on Red: Native American Literary Separatism (Minneapolis: University of Minnesota Press, 1999), and their co-authored American Indian Literary Nationalism (Albuquerque: University of New Mexico Press, 2006). ^ Warrior, Tribal Secrets, 56. ^ Of McNickle’s later scholarly publications, the text most devoted to Indian communities and tribalism is Native American Tribalism: Indian Survivals and Renewals (New York: Oxford University Press, 1973). ^ For two examples, see Ralph E. Rodriguez, “Chicano Studies and the Need to Not Know,” American Literary History 22.1 (2010), 180-81 and Viet Than Nguyen, Race and Resistance: Literature and Politics in Asian America (New York: Oxford University Press, 2002), 3-5. ^ For a meticulous study of Salish economic and political survival strategies in the era leading up to their removal to the Flathead Reservation see Robert J. Bigart, Getting Good Crops: Economic and Diplomatic Survival Strategies of the Montana Bitterroot Salish Indians, 1870-1891 (Norman: University of Oklahoma Press, 2010). ^ Ian Baucom, “Township Modernism,” in Geomodernisms: Race, Modernism, Modernity, ed. Laura Doyle and Laura Winkiel (Bloomington: Indiana University Press, 2005), 233. ^ D’Arcy McNickle, The Surrounded  (Albuquerque: University of New Mexico Press, 1978), 35. ^ Warrior critiques McNickle for his use of “the language of victimization, tragedy, and alienation” in The Surrounded (Tribal Secrets, 56). ^ Here I draw on Beth H. Piatote’s discussion of the “historic and prophetic properties” of this epigraph in Domestic Subjects: Gender, Citizenship, and Law in Native American Literature (New Haven: Yale University Press, 2013), 133. ^ Vizenor coined the term survivance to call attention to the ongoing and fluid character of Native American strategies of resistance in Manifest Manners: Postindian Warriors of Survivance (Hanover: Wesleyan University Press, 1994), 3-5. His use of the term is characteristically fluid; one of his clearest accounts of survivance defines it as “more than survival, more than endurance or mere response; the stories of survivance are an active presence” (Fugitive Poses: Native American Indian Scenes of Absence and Presence [Lincoln: University of Nebraska Press, 1998], 15). ^ See Bigart, Getting Good Crops, 26-29 on conversion as a survival strategy and 37-46 on farming and ranching. On the importance of treating such strategic adaptations as moments in which borrowed materials become indigenous, not as examples of free flowing hybridity that expose indigeneity as a fiction, see Warrior’s contribution to American Indian Literary Nationalism, 34-36. ^ Marianna Torgovnick’s work on modernist primitivism is foundational; her most extensive discussions of primitivism in relation to Native American cultures appear in Primitive Passions: Men, Women, and the Quest for Ecstasy (New York: Knopf, 1996), 43-57 and 113-31. On representations of Native American literary traditions see Helen Carr’s Inventing the American Primitive: Politics, Gender, and the Representation of Native American Literary Traditions, 1789-1936 (New York: New York University Press, 1996), 197-256. On the collection and marketing of Native American handicrafts as art and the influence of Native American arts and culture on American modernism see Elizabeth Hutchinson, The Indian Craze: Primitivism, Modernism, and Transculturation in American Art, 1890-1915 (Durham: Duke University Press, 2009), 91-130. Jesse Lerner shows how similar dynamics shaped modernist engagements with ancient Maya visual culture in The Maya of Modernism: Art, Architecture, and Film (Albuquerque: University of New Mexico Press, 2011), 55-64. ^ For an important treatment of the workings of this appropriative logic in writers as diverse as Zane Grey, Willa Cather, William Carlos Williams, and Mary Austin, see Walter Benn Michaels, Our America: Nativism, Modernism, and Pluralism (Durham: Duke University Press, 1995), 35-40, 83-86, and especially note 77, 155-56. For major critical accounts of the practice of appropriating Native American culture and impersonating Native Americans in Native American Studies see Philip Joseph Deloria’s Playing Indian (New Haven: Yale University Press, 1998) and Shari M. Huhndorf’s Going Native: Indians in the American Cultural Imagination (Ithaca: Cornell University Press, 2001). ^ For a recent discussion of The Professor’s House in relation to modernist anthropology see Eric Aronoff, Composing Cultures: Modernism, American Literary Studies, and the Problem of Culture (Charlottesville: University of Virginia Press, 2013), 70-84. ^ Willa Cather, The Professor’s House (London: Virago Press, 1981), 200. ^ Harriet Monroe, “Back to Nature,” Poetry: A Magazine of Verse, 14.6 (September 1919): 329. ^ In his posthumously published novel, Wind From an Enemy Sky, McNickle presents a deeply critical account of this tendency to conflate Indian cultures with one another in his portrayal of a collector of Indian crafts who attempts to make up for the destruction of a North American tribe’s medicine bundle by presenting them with a thousand year old Peruvian relic on the grounds that “it might be comparable to the priceless thing they lost” since “[t]he craftsman was an Indian.” D’Arcy McNickle, Wind From an Enemy Sky, (Albuquerque: University of New Mexico Press, 1988), 234. ^ Here Monroe’s primitivist aesthetics work like ethnographic allochronism, which Johannes Fabian defines as “a persistent and systematic tendency to place the referent(s) of anthropology in a Time other than the present of the producer of anthropological discourse” (Time and the Other: How Anthropology Makes its Object [New York: Columbia University Press, 1983], 31). ^ Alice Corbin Henderson, “A Note on Primitive Poetry,” Poetry: A Magazine of Verse 14.6 (September 1919): 330. ^ Monroe, “Back to Nature,” 328. ^ Oliver La Farge, Laughing Boy (Cambridge: Houghton Mifflin, 1929), 60. ^ Joel Pfister, Individuality Incorporated: Indians and the Multicultural Modern (Durham: Duke University Press, 2004), 211, 212. ^ A manuscript of “The Hungry Generations” is held in the McNickle papers at the Newberry Library. This draft has also been published as: D’Arcy McNickle, D’Arcy McNickle’s “The Hungry Generations”: The Evolution of a Novel, Birgit Hans, ed. (Albuquerque: University of New Mexico Press, 2007). ^ McNickle, D’Arcy McNickle’s “The Hungry Generations,” 252. ^ For a full theorization of late modernism see Tyrus Miller, Late Modernism: Politics, Fiction, and the Arts between the World Wars (Berkeley: University of California Press, 1999), 3–25. ^ For a discussion of Mathews’s representation of the oil boom see Hanna Musiol, “Sundown and ‘Liquid Modernity’ in Pawhuska, Oklahoma,” Journal of American Studies 46.2 (May 2012): 357-73. ^ John Joseph Mathews, Sundown (Norman: University of Oklahoma Press, 1988), 274. ^ For an analysis of The Surrounded that focuses on the legal position of native communities in the early twentieth century see Piatote, Domestic Subjects, 133-72. ^ Similarly, in Sundown Chal attends a dance performance among non-native spectators who see the dances as a form of entertainment. ^ For an account of this history see Bigart, Getting Good Crops, 26-29. ^ Such an interpretation might be modeled on Sean Teuton’s revisionary reading of Ceremony, which takes the scene in which Tayo cuts through a fence to reclaim his family’s cattle as a key moment of reinstating land claims in the face of settler colonialism. See Red Land, Red Power: Grounding Knowledge in the American Indian Novel (Durham: Duke University Press, 2008), 138. ^ McNickle’s revisions transform the relationship between Max and Archilde. While the relationship in both versions follows a similar arc—from mutual incomprehension and hostility to understanding and rapprochement—the point at which the characters come to agreement is different. In “The Hungry Generations” Archilde adopts his father’s hostility toward all signs of Indian-ness. In The Surrounded Max must adjust his perspective to account for his son’s potential. ^ For a more developed reading of the legal ramifications of this scene see Piatote, Domestic Subjects, 154-57. ^ In Christopher B. Teuton’s terms, Catharine, Mike, and Narcisse are taking part in a Salish project of “cultural survivance” which “depends on a community’s vibrant, active engagement with the worldview its members continually construct” (Deep Waters: The Textual Continuum in American Indian Literature [Lincoln: University of Nebraska Press, 2010], xviii). ^ See Warrior, Tribal Secrets, 55-57; and Owens, Other Destinies: Understanding the American Indian Novel (Norman: University of Oklahoma Press, 1992), 72-74. ^ See Pierre-Jean de Smet, Life, Letters and Travels of Father Pierre-Jean de Smet, S.J. 1801-1873 vol.1-2 (New York: Francis P. Harper, 1905; rpt., New York: Kraus Reprint Co., 1969) 222-28, 263-67, 319-41. ^ C. Teuton, Deep Waters, xviii. ^ Piatote, Domestic Subjects, 135. For a full overview of this policy in relation to The Surrounded see 134-37. ^ In this, McNickle’s depiction of Grepilloux’s attitude follows Smet. For Smet’s account see 319-26. ^ See John Lloyd Purdy, Word Ways: The Novels of D’Arcy McNickle (Tucson: The University of Arizona Press, 1990), 23-33 and 48-58. ^ Abdul R. JanMohamed, Manichean Aesthetics: The Politics of Literature in Colonial Africa (Amherst: University of Massachusetts Press, 1983), 5. ^ Fredric Jameson, A Singular Modernity: Essay on the Ontology of the Present (New York: Verso, 2002), 165. Leif Sorensen teaches 20th and 21st century multiethnic literatures of the U.S. in the English department at Colorado State University. He is the author of Ethnic Modernism and the Making of US Literary Multiculturalism (Palgrave, 2016) as well as articles on ethnic writers of the modernist era, speculative fiction, and popular culture.